In case you didn’t already know, the Internet is an amazing money-saving tool. Who among us has not used a quick Google search to compare prices or make sure that we can’t find a better deal elsewhere before we make a purchase? Thus, it is only fitting that we use these same principles before overpaying on our Internet bill. 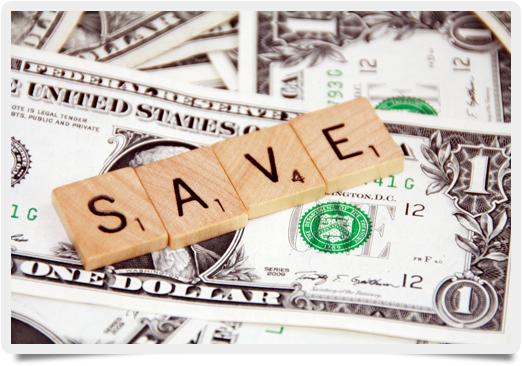 How can you save on this common and, in most cases, very necessary expense? Here are five simple ways. 1. Lower Your Internet Speed. If you have no need for downloading large video files and are a casual user who only uses the Internet for e-mail, browsing, or paying bills, perhaps you can opt for a basic broadband service. If you are not sure how fast your Internet is, you can run a free Internet speed test. 2. Purchase Your Own Equipment Instead of Renting It From the Provider. You can save a significant amount of money on your Internet bill each month by simply opting to buy your own router or modem instead of paying a monthly fee to rent one from your service provider. Most providers charge anywhere from $5 to $10 per month, which can add up over time. Unless you are planning to move and switch providers anytime soon, buying your own equipment will eventually pay for itself. Check with your provider and see if they will allow you to use your own. 3. Do It Yourself; Avoid Installation Fees. You don’t have to be a computer whiz to set up your own equipment. Most modems and routers come with very clear and simple instructions (with pictures!). If you are still wary, ask a knowledgeable friend or neighbor. Taking care of the installation yourself will not only save you money, but it will enable you to familiarize yourself with the equipment so that if any technical issues arise, you might be able to take care of them yourself. 4. Bundle It With Other Services You Already Use. Although you want to be careful about paying for a bundle of services you don’t use in the first place, if you are already purchasing television, mobile phone, and/or security services, you might be able to get a package deal with one company for a cheaper price than what you are paying separately. Check with your providers and see if there is a way to bundle your services for a better price. 5. Call and Negotiate a Better Deal. And finally, there is no harm in calling and asking for a lower price. Don’t be afraid to remind them of your years with them and your faithful payments. The customer is always right, so many will work with you if it means keeping you as a loyal customer. You might be surprised at what a simple, “What can you do for me?” might get you.